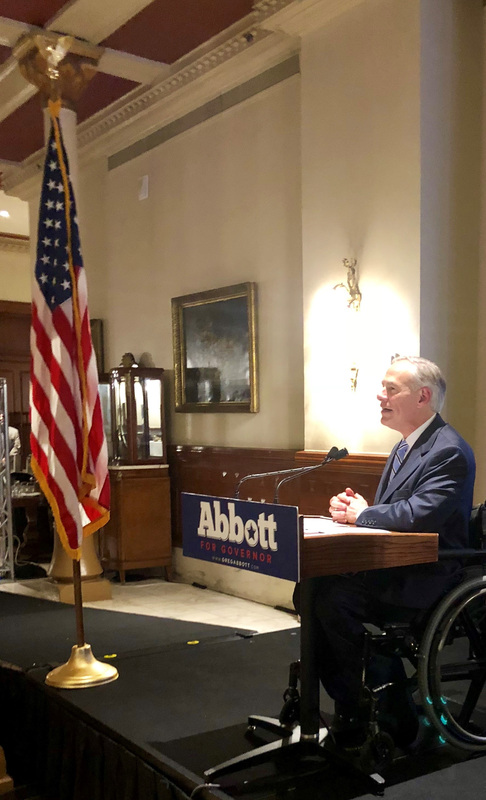 We are especially grateful to Governor Greg Abbott for headlining this event, offering a wonderful speech about the work he is doing leading our state and highlighting the stakes in the upcoming November election. As a small sign of our appreciation to Gov. 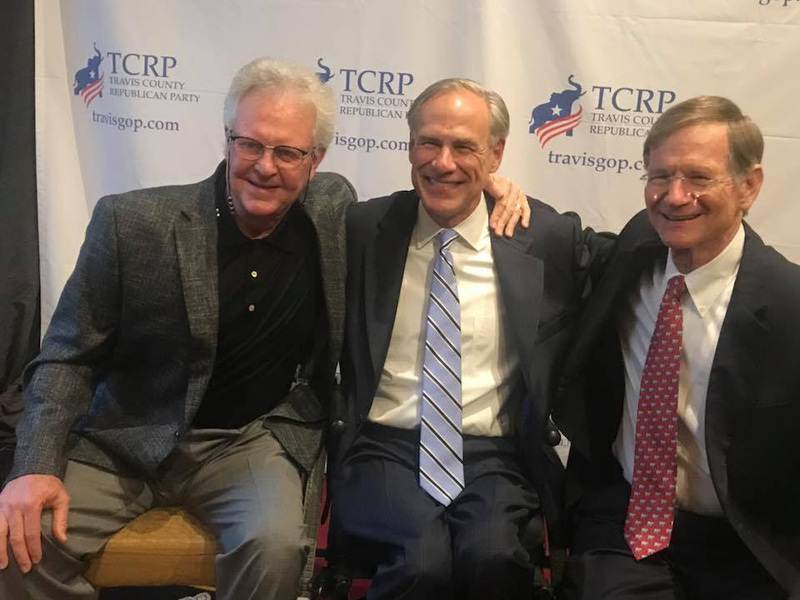 Abbott, TCRP made a $1,000 contribution to the nonprofit of his choice. Last night it was an honor to present the check to Dan Walrath, founder of Operation Finally Home, a Texas-based veterans nonprofit that has provided more than 235 homes to wounded and ill veterans. You may learn more about their mission here. It was a special night for us, as we presented Commission Gerald Daugherty with the Reagan Courage Award and Congressman Lamar Smith with the Lifetime Achievement Award. Both received standing ovations for their lifetimes of service. This event was successful because we had so many wonderful and generous people agree to sponsor our gala. I want to thank Don Dyer and Jay Novik for sponsoring the event at the highest level we offered. It was wonderful to have Joel and Stacy Hock and Evan and Kristina Baehr co-host this event and generously support it. 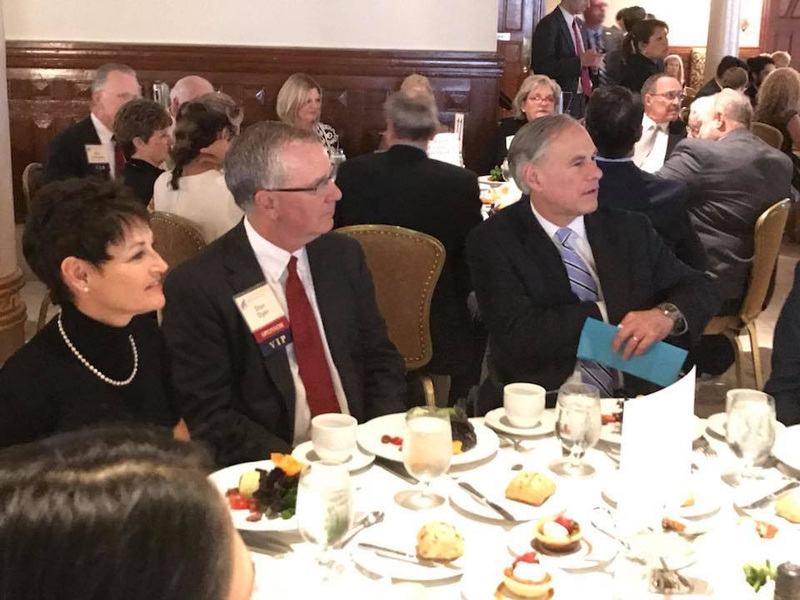 I want to personally thank all of our table sponsors, including Jim and Betty Skaggs, the campaigns of U.S. Reps. Michael McCaul (R-TX), Bill Flores (R-TX) and Roger Williams (R-TX), Mr. and Mrs. A.B. Walters, Justice John Devine Supreme Court of Texas, TXMX (Eduardo Contreras), the Hon. Kent and Elise Grusendorf, Texas Lobby Group (Mike Toomey), Shawn Kruse (Quicken Loans), Crosswind Media and Public Relations (Thomas Graham), Bob Cornelius, Patrick and Celeste McGuinness, Bob Thomas (Thomas Graphics, Inc.), Jack P. Barcroft SREC SD24, Jim Chandler, Jimmy Blacklock for Texas Supreme Court, Bill Crocker and The Wilbanks Group (Chad Wilbanks). The financial support of all of these individuals made the success of this night possible. We were thrilled to be joined by so many elected officials, including Governor Greg Abbott, U.S. Rep. Lamar Smith (R-TX), Travis County Commissioner Gerald Daugherty, Agriculture Commissioner Sid Miller, Republican Party of Texas chairman James Dickey, State Sen.Dawn Buckingham (R-Lakeway), State Sen. Donna Campbell (R-New Braunfels), State Rep. Paul Workman (R-Austin), Texas Supreme Court Justices John Devine, Jimmy Blacklock and Phil Johnson, Republican Party of Texas chairman James Dickey, 3rd Court of Appeals Chief Justice Jeff Rose, 3rd Court of Appeals Justices Scott Field and Cindy Bourland, State Board of Education member Tom Maynard and Burnet County Judge James Oakley. No person been more devoted and worked harder to make this event a success than Lauren Day. Since the New Year began, she has been laser-focused on managing all aspects of this event, from the menu, to the venue, to the silent and live auction, the list was endless. She did an incredible job and I could not be more grateful to Lauren, and her husband Nate, for their sacrifice. I want to personally thank our Executive Director Gary Teal for his good work helping pull off this event as well, handling unglamorous but critical tasks like managing the registration table and paying bills. Andy Hogue did a fabulous job inviting the media, designing the programs and managing the audio and visual production, saving us thousands of dollars. Leland Freeman was a great help to Andy with A/V and we appreciate him, as always. I want to thank our Finance chair Cornelia Foster Wood for all of her help planning this event in the weeks leading up to and including the night of the event. Olga Lasher deserves special recognition for coming in to help us as a volunteer last night as well. She is always willing to help and we appreciate her so much. I come away from last night overwhelmed with gratitude to so many people and more motivated than ever to continue our mission of electing more Republicans, growing the party and advancing conservative principles. Mary and Larry Heffernan Jr.
and others ... if we missed you, let us know and we'll be sure to thank you in future acknolwedgements! We raised over $18,000 in our live and silent auction at our 2018 Reagan Gala. We would like to thank and congratulate the following bid-winners for helping elect more Republicans in Travis County and making for a lively evening! And a special thank-you to Matt Baker of Round Rock for the use of his sound equipment.